Work: day off. Rain. Mostly. Ramblings: There is nothing new. Only restatements of what we already know. I confess, I’m a soft touch for an Ironman story. The winners are super-fit professionals with more focus than I will ever have. Admirable, but with as much relevance to my life as the NBA Draft. At the end of the hour, the TV coverage of the Ironman World Championship in Kona HW picks up the amateurs. Folks chugging in to make the time limit for 17 hours of continuous exercise. Still not relevant to anything I’m planning to jump off the couch to do, but such wonderful stories: a smoker who lost 50 pounds, a grandfather running for the first time with his marathoner granddaughter, a man dedicating the race to a cancer-surviving family member, and so on. 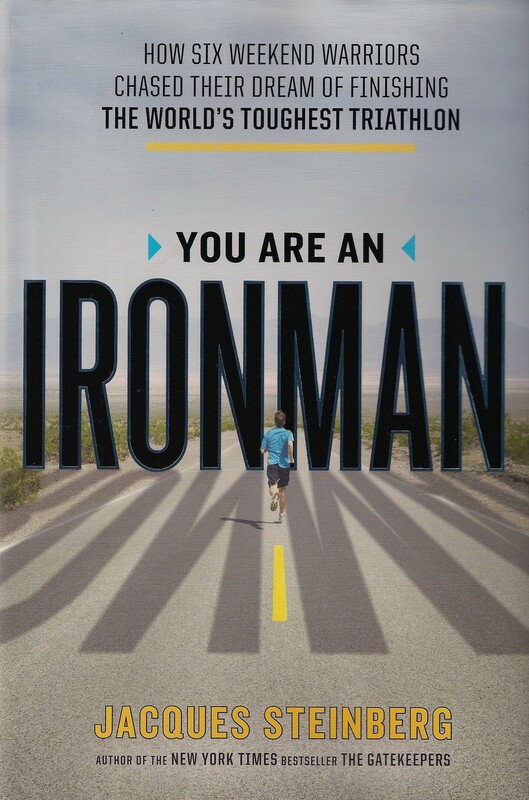 No wonder I was a sucker for You Are an Ironman: How Six Weekend Warriors Chased Their Dream of Finishing the World’s Toughest Triathlon by Jacques Steinberg [Viking 2011] despite the hardback price. Try, try again. Winners never quit. Yeah, yeah, I’ve heard it all before. But this word choice got past my defenses. FAIL has such a note of finality. You fail a class. You fail a blood test. These are not things you recover from with a perky attitude. I berate myself as a failure often. Yet, here is this guy saying that one can fail and still succeed. Intriguing. BTW, it’s not surprising that a restatement would get through to me, since getting excited about the shades of meaning between one word and another is what folks pay me for. No, I haven’t given a review of the book. Either the title has you foaming at the mouth to contact your book pusher of choice or you’re wondering WTF. Your favorite non-equine sports book? The Art of Racing in the Rain by Garth Stein. Race car driving. The book I find most sobering in the arena of what happens when one fails at what one loves is “Into Thin Air.” Personally, I prefer challenges that will not kill you if improperly executed. So, ****eventing is not in my future. But, with horses, I failed all the time. I figure it’s all about learning and growing, so, I don’t let it get me down. Heck, I wrote a book about what a failure I am. It doesn’t have a negative impact on my self esteem.